In case you haven’t noticed, adventure bikes are all the rage right now. Buyers love them and sales continue to increase. Competition amongst the motorcycle manufacturers is fierce with each manufacturer offering one or more models for you to select from. Why the love affair with adventure bikes? I’m not entirely sure but I strongly suspect that it is primarily due to their “go anywhere” image. BMW got the ball rolling when they introduced what many consider to be the first adventure bike – the R80G/S – in 1980. It was a new breed of motorcycle, marketed as a world traveler equally capable on and off-pavement. 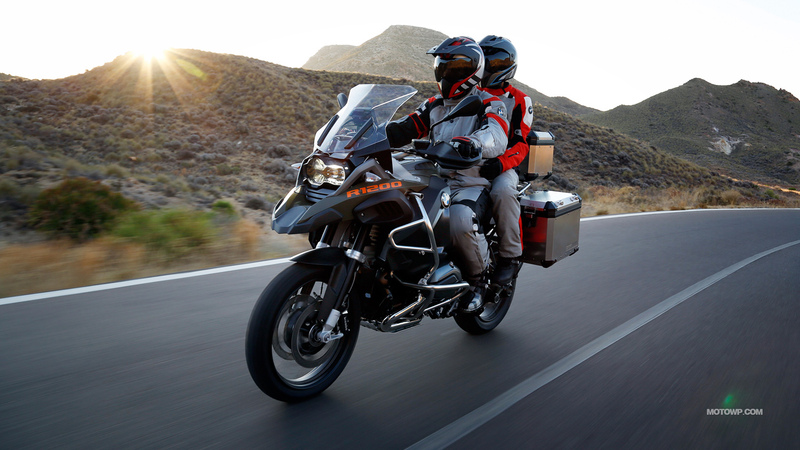 From there, BMW continued to advance the “adventure bike” concept with the R100GS in 1987, R1100GS in 1994, R1150GS in 1999, and the R1200GS in 2004, all the while continuing to market them as go-anywhere, do-anything motorcycles. After Ewan McGregor and Charlie Boorman circumnavigated the planet in 2004 on a pair of R1200GS and documented their trip in the TV series “Long Way ‘Round” the image of the adventure bike as the most versatile motorcycle on the planet was firmly cemented in place. Based on yearly increasing sales figures it seems quite evident that when riders new to the dual sport adventure world wander into a motorcycle dealership looking for an “adventure bike”, they are looking at this class of machines. Before moving ahead, let’s agree on what an adventure bike is. I consider adventure bikes to be motorcycles intended for on- and off-pavement riding that weigh more than 400 lbs. Admittedly it’s a simple classification but one that I think works very well. I think the current crop of adventure bikes are fantastic. They are big, comfortable, fast, capable, reliable, handsome, and a heck of a lot of fun to ride. Notice that I left out the term “off-road capable”. I know they are marketed as “go-anywhere” bikes but I suggest that they really aren’t suitable for even mildly difficult off-pavement riding. Yes, you can ride them down an easy dirt road but as soon as the riding gets even a little tough, you will quickly learn just how much work (and, consequently, how little fun) it is to ride a 600 lb. motorcycle in the dirt. Or sand. Or mud. Or rocks. And how much damage you do when you inevitably drop one in the dirt. Not to mention that you often can’t pick it up by yourself after you drop it. Really, anything more than mild dirt and adventure bikes become a handful for even the most talented riders. 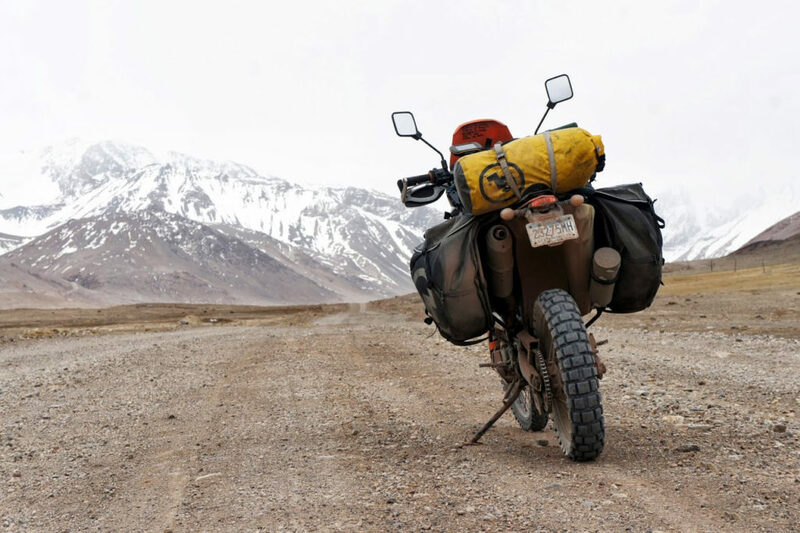 Ewan and Charlie learned this lesson the hard way during their journey around the planet; they abandoned the more difficult dirt sections in Mongolia and Russia because their bikes were just too heavy. Adventure bikes get all the love but aren’t really as versatile as they are marketed to be. They aren’t dirt bikes. Not even close. So, if the adventure bike class of motorcycles aren’t really “go-anywhere” machines, what is? I suggest the dual sport class is truly the “go-anywhere” motorcycle. The dual sport class of motorcycles – bikes weighing 300- 375 lbs. and designed for both on- and off-pavement riding – get very little love but are actually the most versatile bikes that I know of. They are capable of running down the highway all day long at 70 mph or so and they are light enough to handle serious dirt work. You can load them with gear and ride them around the planet. You can race them in a hare scramble. Ride them fast on a motocross track. Or go explore South America. Yes, the lowly dual sport is a most versatile and capable motorcycle. Did you notice that I called them the lowly dual sport class? I do so because they don’t sell in large quantities and never have. Manufacturers only sell a few thousand new dual sport bikes each year, which is a small fraction of the USA’s 500,000 total annual motorcycle sales. Dual sport motorcycles are an afterthought for most riders and manufacturers. Any of the bikes on the above list can do any of the things I mentioned above. They are all very capable motorcycles. Admittedly, some are more capable than others – the 2017 Husqvarna 701 is arguably the best of breed right now – but none are bad bikes. You could select any bike from the above list, easily outfit it to your tastes, and then ride it around the world if you wanted to. To sweeten the deal even more, they generally cost $1000s less than adventure bikes. As good as they are, dual sport bikes are far from perfect. What can’t you do on dual sport class motorcycle? Well, you can’t carry as much stuff as you can on an adventure bike. If you want to travel in luxury, carrying 100 lbs of gear, then adventure bikes are a better choice. Of course, one might argue how much adventure will you actually have on a luxury trip? Dual sport bikes also aren’t great for riding long distances on freeways. Hundreds of miles at 80 mph just isn’t their forte. The adventure class of bikes are a better choice for freeways. But then again, how much adventure do you expect to find riding 500 freeway miles? Similarly, if you are generally going to stick to pavement and maybe ride an easy dirt road here and there, then an adventure bike is probably the better choice. However, riding mostly pavement with an occasional dirt road doesn’t really qualify as “go anywhere” does it? Finally, to the uninitiated, adventure bikes look like they can go anywhere. They just look so studly. That being the case, when style is more important than function, adventure bikes are the way to go. In summary, though under-loved and under-appreciated, the dual sport class is worthy of high praise. You can actually ride them on- and off-pavement, they make fine adventure bikes, are marvelously versatile, and don’t cost a whole lot of money. One can only hope that one day the adventure riding world wakes up to the virtues of the lowly dual sport bike.